As a Real Estate Agent, you might use a QR code to link to a specific listing, a mobile optimized version of your website, or even a mobile optimized version of your home search. 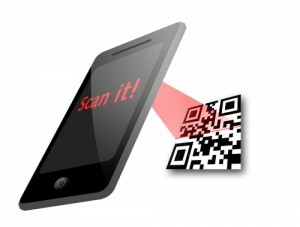 Where can you use a QR code effectively? Property Brochures: Say you have a single property listing flyer, just enter the MLS number that you want to generate a QR code for and click the “Create QR” button. You’ll have QR code that links to that specific MLS number on a user’s mobile device. Lawn Signs: Want to give passers-by a quick and easy way to search for homes, now you can generate a QR code that links them straight to your mobile home search. Business Cards: Again, give users a quick and easy way to bookmark and access your personally branded mobile home search. How else are you using QR codes? Will you be using this feature? Any creative ideas you can add to the list? It’s been a few weeks since we switched to dsSearchAgentMobile from another solution. Pleased to report our average time on site for the native mobile interface, is just shy of 9min, which is fantastic. Very happy to hear that, thank you! And well done! !